To each his own, only the best from dy-pack. The markets served by dy-pack have very different demands. We react to these demands with a simple principle: each client receives the bag that fits his needs exactly. How do we know that? Because we have been taking care of very specific industries for over 60 years. We are right there with you talking about topics like efficiency, profitability, process stability and customer benefits. Each individual sack counts, even in mass production. 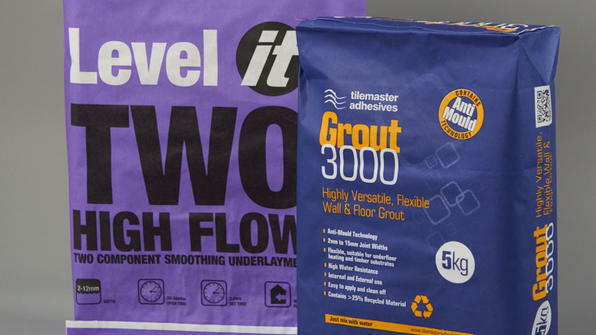 Today’s modern filling systems for the cement industry can fill over 4,000 sacks per hour. Process stability plays a decisive role here as the smallest error can stop production and have a negative impact on your productivity. 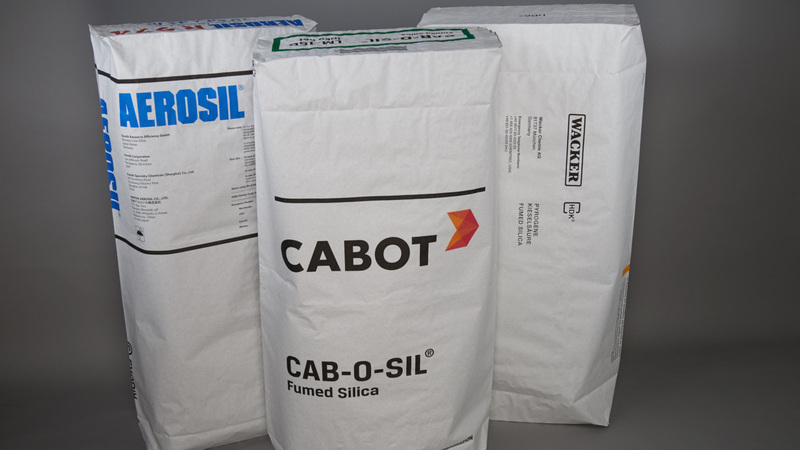 For this reason, it is most important to consider quality and not just competitive prices when selecting even a “simple” sack. 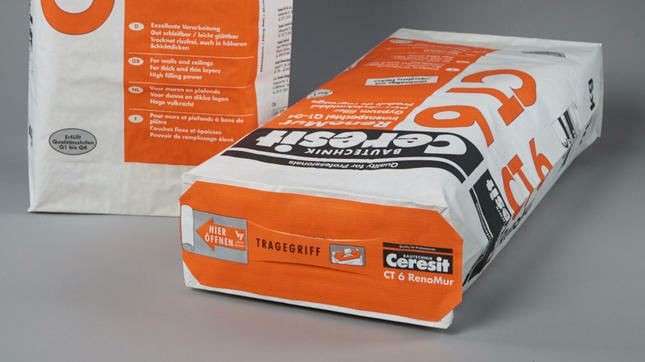 Not only can dy-pack cement sacks be filled rapidly, they are also extremely strong and because they are customized to your specifications, you can fully rely on dy-pack experts when it comes to process stability. Your customers can count on: Clean, perfectly filled sacks stacked on pallets make an outstanding impression. 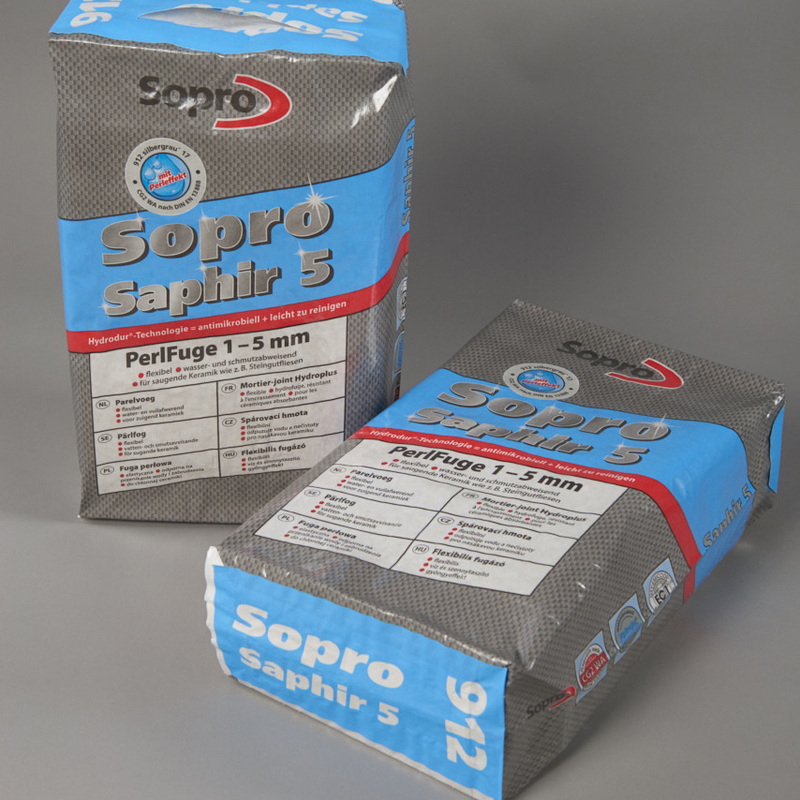 You can count on: Cost-effective mass production due to reduced paper use in a high quality process. Let your products leave a lasting impression. In the consumer business world, the presentation of a product wins half the battle. 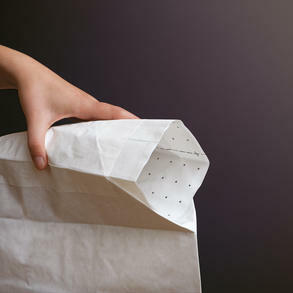 dy-pack offers you a variety of excellent tailored print design options for your sacks. 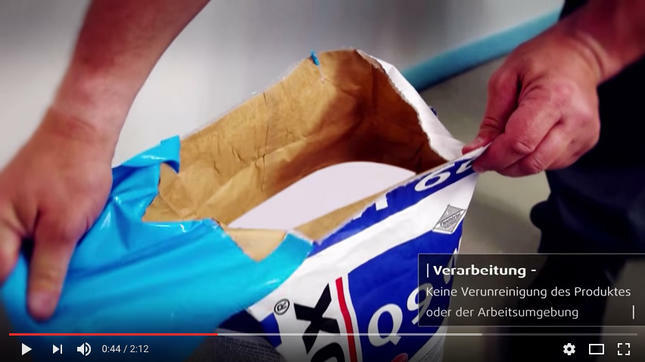 That’s not all: dy-pack sacks also offer maximum cleanliness until they reach the consumer’s premises. 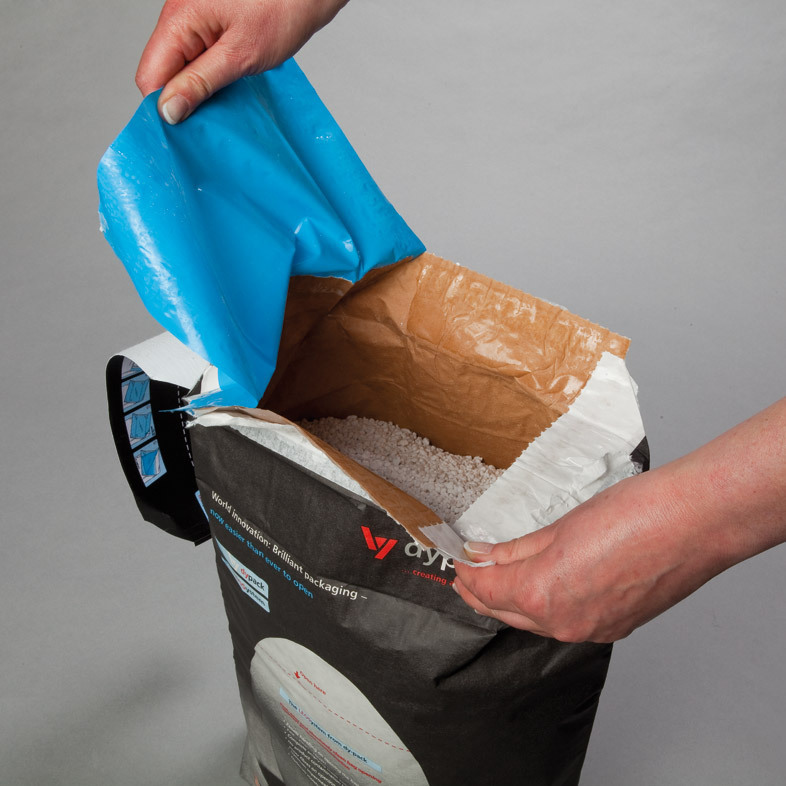 Problems such as dusty or event bursting sacks are now history thanks to dy-pack’s high strength sacks. Don’t settle for less – after all, these are the factors that determine your product’s success on the market. Moreover, dy-pack technologies, such as LEOSystem with carrying handle, offer your customers unrivalled convenience when carrying your product home from the building centre. When moisture ingress must be eliminated. With construction chemicals, product protection plays a major role. However, these requirements must not be to the detriment of other important parameters such as filling speed, optimum printing quality and ease of handling by the consumer. Our experts gladly rise to the challenge! When the highest demands are placed, we can play all our innovation cards. In this way, we can provide added value to top quality brands, for which the consumer, as well as the manufacturer, expects the highest packaging quality. In short: more convenience, more effectiveness, more cleanliness - and more success for you! At the same time, you can assure your customers of longer product shelf life, provide more convenience with the dy-pack carrying handle and leave a lasting impression with excellent printing quality. 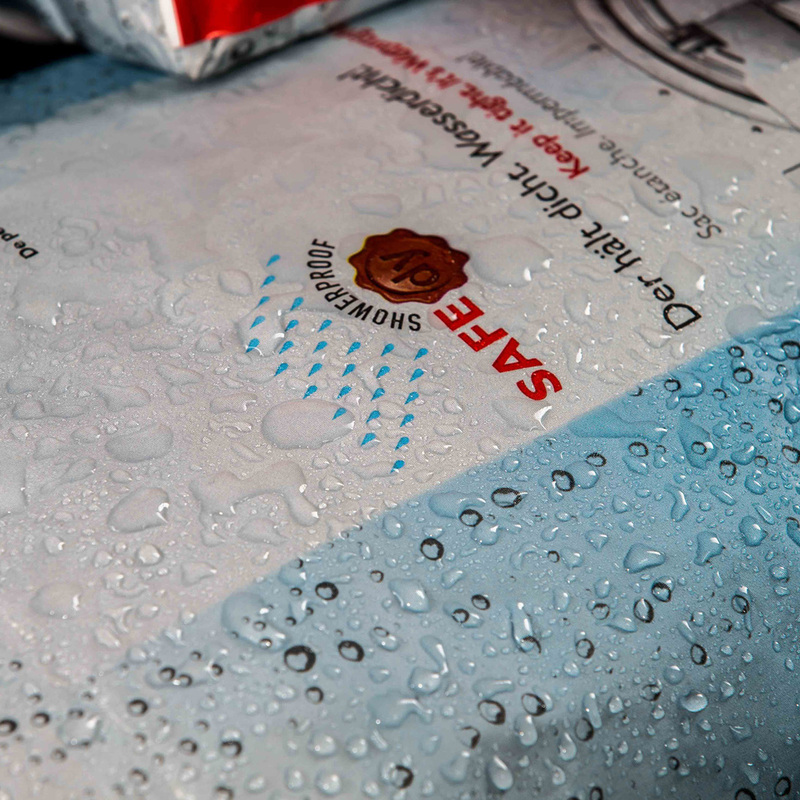 We solve your toughest packaging tasks with ease. 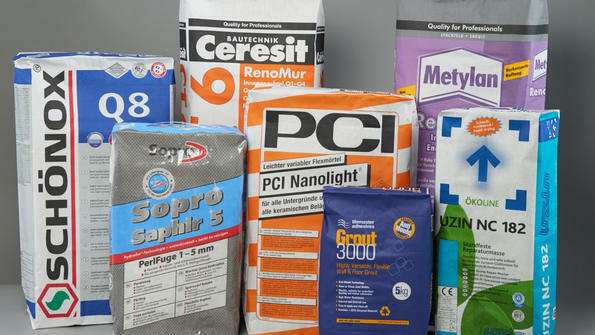 Packaging for the chemical industry is particularly demanding: Some products can be hard to fill, extremely light or easily damaged. 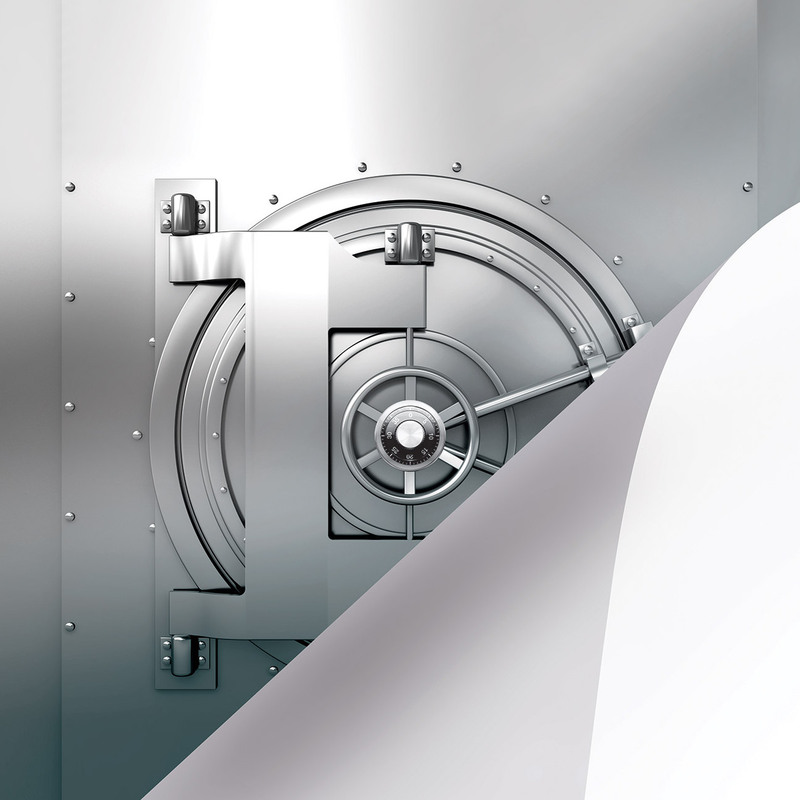 Nevertheless, requirements such as speed and process stability have to be met as well. This is exactly when dy-pack applies all of its expertise to fulfil these demanding tasks. For industrial packaging of high-quality bulk materials, individual consulting and problem solving are essential. Once again, you can benefit from our experience and mission to develop the perfect customized packaging solution for you. Clean and hygienic all the way. 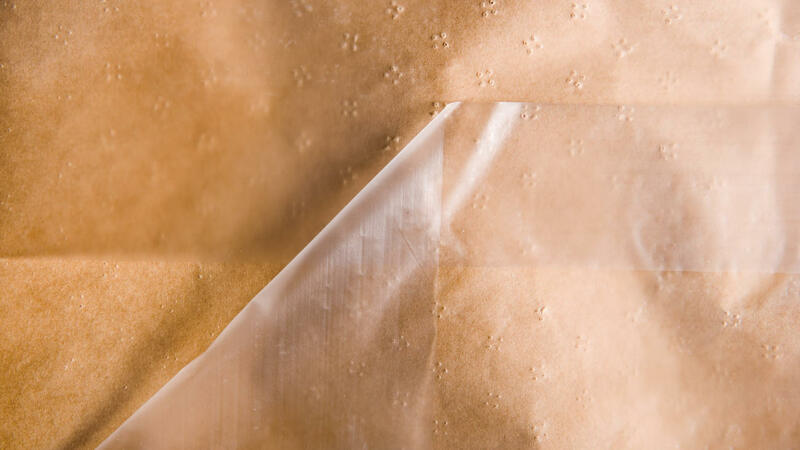 For food packaging, compromises in hygiene are not an option, impermeability and protection against humidity are important factors. Good to know you can always rely on dy-pack experts. We have solved such problems a hundred times over – making it easier for you! Take advantage of dy-pack’s modular system of innovative solutions and say good-bye to problems with cleanliness. 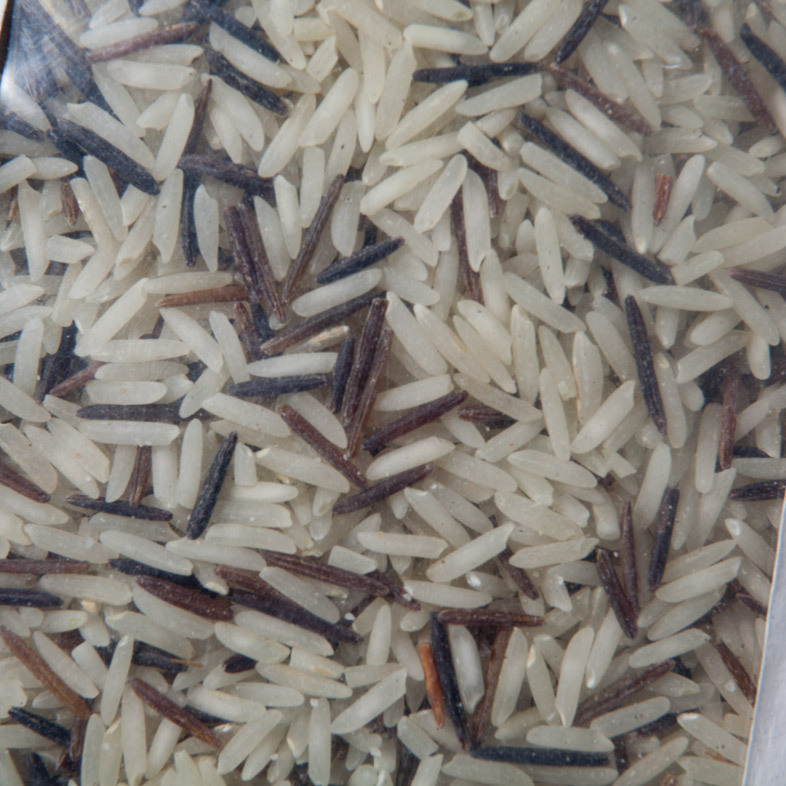 It goes without saying that filling of food should be dust-free and without wear debris, e.g. metal. You can also rely on dy-pack experts to eliminate bacteria infestation risk, mould and humidity problems in packaging for the future. 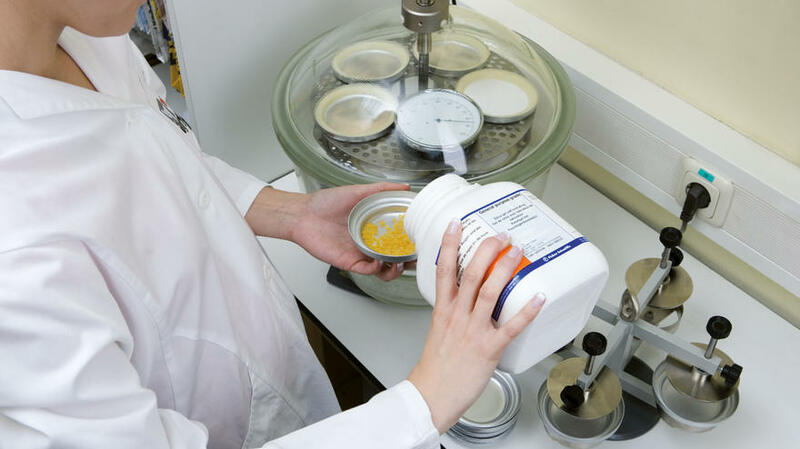 The use of starch as paper glue creates an ideal culture medium for bacteria and germs – a situation which can prove ruinous for packaging, in particular for food. Heat and humidity, in particular during transport, also contribute to aggravate the problem. 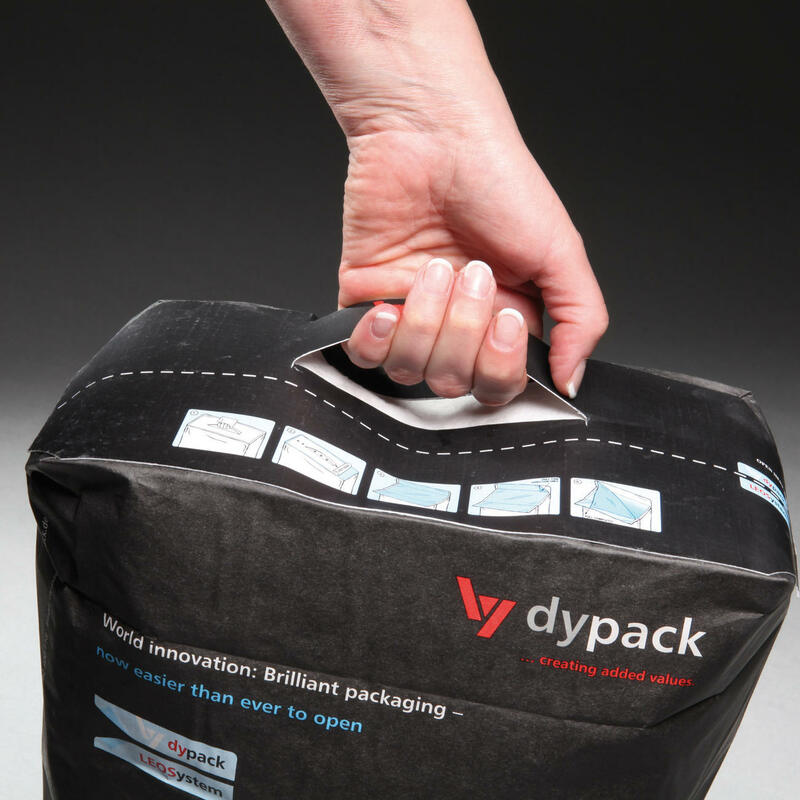 However problems are there to be solved – especially at dy-pack. From the use of special glues, production under HACCP regulations to concepts for humidity protection and excellent impermeability, we don’t give mould the slightest chance. 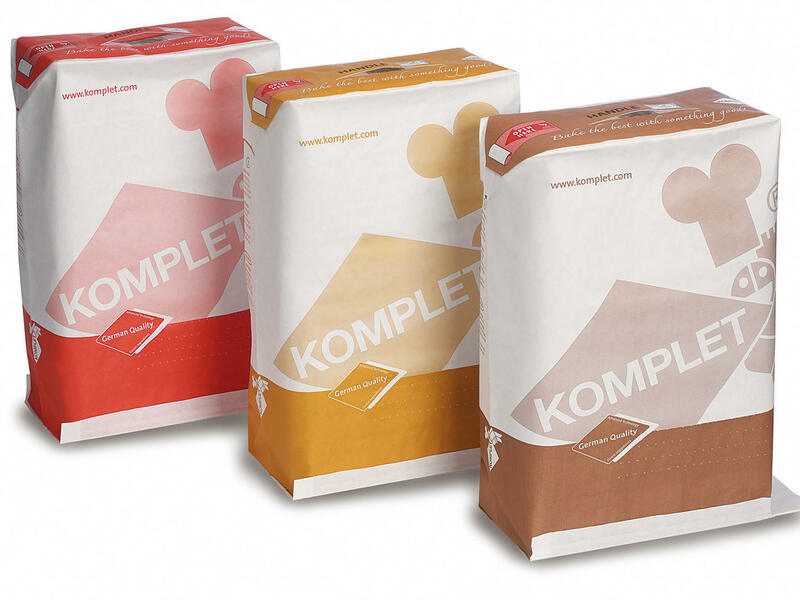 With dy-pack paper sacks, you have all your hygiene requirements and associated regulations firmly under control. You can count on it! Demands: high – Solution: dy-pack.